Andun have delivered temporary works design and engineering support on some of the largest rail infrastructure projects of the last two decades. 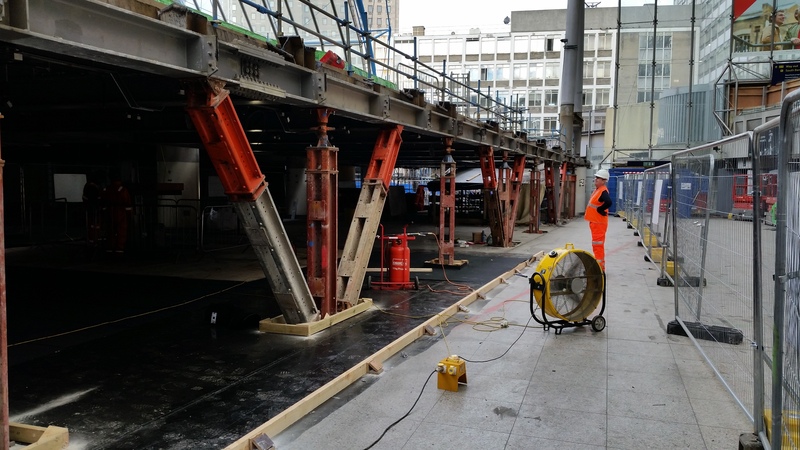 Our team of temporary works engineers have the experience and expertise to provide high quality temporary works consultancy, design and checking services for rail temporary works projects. This includes rail temporary works designs for Network Rail projects including the completion of the relevant regulatory checks and submissions. For London Underground and DLR we can also provide various services. Andun can also provide Approval In Principle (AIP submissions), which can be required where sites interface with local highway assets, or require modifications to the highway assets. Andun utilise the latest technology to design and communicate the proposed solution. This includes the use of 3D modelling to create and demonstrate the most effective design solution and where necessary provide innovative rail temporary works designs to meet the contractor’s requirements. This can include working within a MicroStation or ProjectWise environment. Have a rail project that requires temporary works support and would like more information about how Andun can assist?